So we've got you hooked on electric driving. But the fun has only just begun. To get around with your electric car, you'll need to have access to charging stations. Truth be told: the charging process of electric cars isn't some futuristic, disruptive technology—you simply plug in the cable, swipe your card, and your car's in charge. Not much different than how you'd refuel a combustion engine car. It's the absence of the pungent smell of gas and the harsh consequences for nature, that make every EV charging session a special moment. We do understand though, that it might take time for you to adjust to a new driving experience. This is why it's essential for every electric driver to be aware of the availability and accessibility of charging stations in general. Either you opt to charge at public charging stations, at work, or to purchase a charging station of your own. You'll need the answers to these frequently asked questions about EV charging to be well-prepared for all of your future charging experiences. At home in a private garage / drive way, or at a designated parking spot / shared parking facility (common for apartments). At work at your office building's parking facility, either reserved or (semi)public. In public along streets, on the highway, and at any public parking facility you can think of - e.g. shopping malls, restaurants, hotels, hospitals etc. Whether you have access to all public charging stations depends whether your charge card is interoperable. If "interoperability" is activated, you’re empowered to charge at various charging station providers. Charging times vary depending on your current level of battery charge, your battery capacity, your charging station's capacity and settings, as well as the capacity of your charging station's energy source (e.g. your home or an office building). Plug-in hybrids require 1-4 hours to be fully charged, while full-electric cars require 4-8 hours (from 0 to 100%). On average, cars are parked at home for up to 14 hours a day, and at work for around 8 hours a day. With a charging station at your disposal, all this time can be used to top up your car to 100%. Regular electricity outlet: Be warned if you’re charging your car from a regular electricity outlet. Charging at home would require a specific charging cable that prevents power outage and overheating. In addition, you will also need to make sure the outlet is nearby your car, as you may never use an extension cable to charge your car. Yet even with these precautions taken, charging from a regular outlet is highly discouraged, as most residential buildings aren't wired to carry high electrical draw. Charging times will depend on which country you are in. For an EV with a range of 160 km, you can expect a charging time of around 6-8 hours in Europe. Charging station: This is the most recommended method of car charging, as it makes safe and efficient use of your car's and energy source's (e.g. home or office building) capacity. With a charging station to your disposal, you're always ensured of a fully charged car with maximum range, every time you hit the road. A charging station can charge up to 8 times faster than a regular outlet. This means that any EV will be charged 100% in just 1-4 hours. Find an overview of charging times for the most common battery capacities here. Fast charging station: Fast Charging stations pop up most often outside cities and along highways. Despite being fast (it charges in 20-30 minutes), an average fast charger brings an EV only up to 80% at a single charging session. Due to the costly equipment and hardware of fast charging stations, these chargers are usually only purchased and built per request by local governments. In The Netherlands, the average cost of charging any EV is around 22 cents per kWh. Let's say your electric car has an empty battery and approximately 12 kWh battery capacity. In most cases, your car should be able to reach approximately 60 - 80 km with a single charging session. Charging your EV would amount to a total of 12 x 0.22 = 2.64 EUR. The power consumption per km wouldn't be more than 0.03 - 0.04 EUR. Since every charging station provider might maintain different charging fees, we would advise you to visit your charging provider's website for more details. Unlike most charging providers, you're exempt from any charge card fees at all of the EV-Box charging points across the world. Yes. In The Netherlands, the electricity consumption of an average household goes up to about 3500 kW per year. Based on an average distance of 15.000 km per year, an electric car would annually require 3000 kW. But rest assured - with a personal charging station at your disposal, you can choose to charge your car at night, when you can take advantage of significantly lower electricity prices. Additionally, thanks to residential solar panels, you can also opt to generate your own electricity during the day. This way, EV charging is bound to become more cost effective in the long run. Yes and no. Just like regular electricity outlets, charging stations may have different outlets and connectors depending on the country where you’re charging and your car brand’s origin. Luckily, to make things less complicated, car manufacturers and most countries have now reduced the options to just 2 types of outlets and connectors. From the car’s side, a Type 1 socket is common for Japanese and American vehicles, and a Type 2 socket is common for European vehicles. Note: all Tesla models have a specific type of socket in the US, whereas in Europe, all Tesla models are quipped with a Type 2 socket. From the charging station’s side, all chargers in both Europe and the US are equipped with a Type 2 socket. A charging station with a fixed cable is an exception; in this case, you would always have to check if the attached cable fits into your car’s socket. Very little. Despite being an advanced technology, electric cars are remarkably simple to maintain. The same is true for Charging stations likewise. If installed properly and built modularly (like EV-Box's charging stations), every piece of mechanism can be easily replaced. Charging stations with online connectivity also enable remote diagnostics and repair, so you won't be left stranded in the rare event of charger malfunction. At EV-Box, easy as ABC. Apply for a charge card subscription. Bring along and swipe your card to start and stop each charging session. Create an account in our BackOffice and automate the invoicing process. You'll receive reimbursements of your charging costs every month. At EV-Box, we can take care of both your and your employer's side of cost settlement. Find more details on this process here. 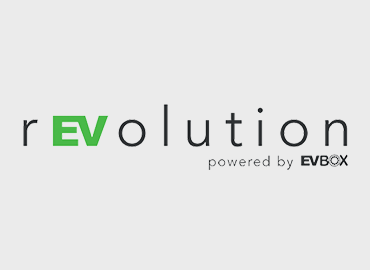 Looking for more answers to EV charging? Visit our Knowledge Center or drop us a line on Twitter. Follow us on Facebook for all things exciting in the world of sustainable tech and e-mobility. Now, all there's left for you to do, is to charge and enjoy the ride. Drive electric, charge everywhere.